If you like what you see, you'll get 9 more issues (12 in all) for just $7.97! If you're not satisfied, return the bill marked "cancel" and keep the first three issues absolutely free, with no obligation. 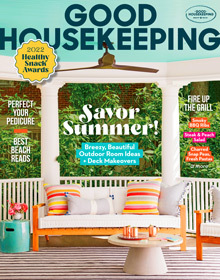 Good Housekeeping US cover price $3.99 per issue. Good Housekeeping is published 12 times a year.